Did I skip a week between posts? oops – my bad. 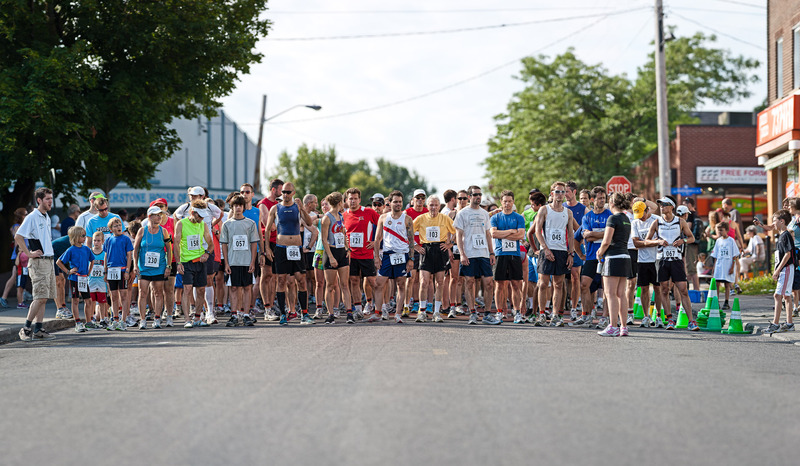 I was contacted this week by my local (like, neighbourhood local) paper, the Kitchissippi Times, to cover the Hintonburg 5K for my first editorial photography assignment. I jumped at the chance, of course, since I love being associated with my neighbourhood, but it’s not often I get contracted to shoot events here. The forecast was calling for sweltering high of 30 degree heat on Sunday, but at the 9am start time it felt cool by comparison. I ran into lots of the twitter folk I interact with on a regular basis, but had still yet to meet. And tried to circumvent the challenge of getting the names of my subjects, their ages, and then moving on in a timely manner – all required for captions in the paper. This image was shot using the “Brenizer Method” (edit: thank you Younes> which I have been enamoured with lately, especially Miles’ work. This particular image is a combination of 19 images, then cropped down to taste. You can see this much larger (though still not full-resolution) on Flickr. Posted on Monday, July 18th, 2011 at 1:00 am. Filed under: Uncategorized Tags: 5k, Event, Hintonburg, Ottawa, Run	RSS 2.0 feed. The guy's name is BrenIZER. Have you tried using Brett Maxwell's calculator? NineTEEN images in one? My mind, she is boggled!